With only two homes yet to be sold at the popular Elan Homes development, buyers will need to act fast to avoid disappointment. Those who buy one of the final homes will be able to take advantage of special spring savings worth more than £6,000. Marie Morris, sales director for Elan Homes in the North, said: “Chester repeatedly features in guides detailing the best places to live, including the listing compiled by The Sunday Times. Location has certainly been a factor in the popularity of Westminster Place. The homes enjoy a lovely location in the village of Huntington, access directly from Sandy Lane and only a 10-minute drive from Chester city centre. 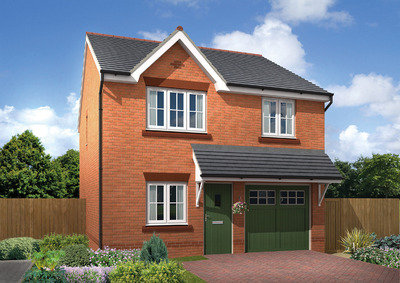 The final phase includes three-bedroom Marford and four-bedroom Ashley styles, priced from £279,995. Set out over three floors, the ground floor of the Ashley features a well equipped kitchen to the front, with combined lounge and dining room offering easy access to the rear garden via French doors that provide lots of natural light to emphasise the spaciousness of the property. There’s also a handy cloakroom on this floor. On the first floor there are two bedrooms, including master with en-suite, plus the family bathroom. Two further bedrooms, with a shared shower room are on the top floor. Help to Buy equity loans are available on homes at Westminster Place. The Government-backed scheme gives customers the chance to take out an equity loan for up to 20% of the price, which is interest free for five years. Typically they should only need a 5% deposit and 75% mortgage. The Huntington area is well served by well-regarded state and private schools – including Saighton C of E Primary, the independent Abbey Gate College and Huntington Community Primary – making it a perfect place to settle down and raise a family. An Ashley show home is open Thursday to Monday to inspire buyers. For the latest availability see elan-homes.co.uk/westminster-place.